Just thought I would post this email from June. June is the lady who volunteered for me to use the new Deep State Repatterning process that I developed. 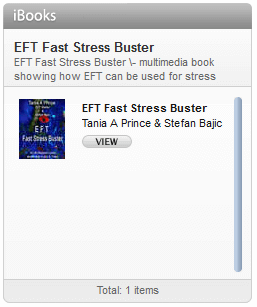 Deep State Repatterning combines EFT with powerful NLP approaches. I have been having a lot of success using this approach. I have also set up the 1st Deep State Repatterning course for the 30th of November in central Manchester, England. I just wanted to put fingers to keys and email you some thoughts I have had about our latest session using the Deep State Repatterning therapy you have developed. 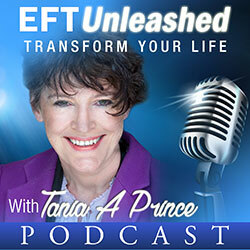 As you know I have worked with EFT and other healing modalities for many years to try and clear the baggage we all seem to carry around with us on ‘our journey’. 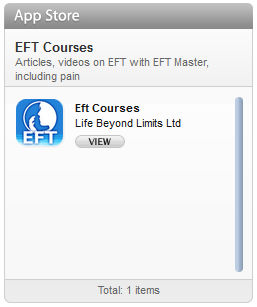 I have found EFT very useful as a tool I can use myself to tap out stuff and feel I have made good progress. There always seems more to do though and I am sure I am not on my own regarding this. A short while ago you very kindly worked with me using Deep State Repatterning and this allowed me to access information I had been unable to access previously at a subconscious level. The issue we worked on was related to relationships, specifically trust and being let down. Since that time when I experienced an enormous shift other aspects relating to relationships have come to light. Not all of them gently I might add but each time I have tried to deal with this problems using meditation, TAT, EFT and Reiki. I find each of these methods has it’s own place and use as I work on myself but I now realise that although they assist me to let go of aspects of the issue at the time and in the moment, I have never been able to get down to the core of the issue like I did the first time we did Deep State Repatterning. The issue that came up for me last night was again about relationships and specifically about and the words that resonating in a conversation I had with someone very close to me were resentment, burden, and responsibility. There was a phrase used that really hit a button which was ‘it’s all about you’. During this conversation which was initially about my father in law but turned into being ‘all about me’ I took a sharp intake of breath at the words said. To help you to understand they were: ‘There have been times when I resented you. You have been a burden.’ (At this point sharp intake of breath, absorb emotion, retrauma). The next sentence ‘Why are you making it all about you?’ At this point I couldn’t converse any more I needed to withdraw. For 2 and a half hours the next morning I meditated, reikied myself. Did a little TAT and lots of EFT but could not shift these feelings that kept coming and going. Waves of heavy energy kept coming up and down my body until I got to the point when I had to shut down to myself and go to work. I literally put it behind me and got on with life. When I arrived at work my first two clients had cancelled so I decided to tap a little more and new stuff was coming up that I didn’t know where to go with. Hence my call to you to ask your advice. Bless you and thank you for coming to my rescue with Deep State Repatterning. As you know we had limited time because I had a client in half an hour and you offered me the opportunity to work on this issue (in the back of my mind I was telling myself ‘no, it wasn’t why I rang you’, I have a client coming, I have a duty of care to them.) This I didn’t tell you at the time but you probably knew it anyway. You asked me what I was feeling and some other questions that I can’t really remember but I know I gave you the answers and was surprised as they came up so quickly. You also asked me an age which I answered without thinking – in fact it was in my head before you even asked me and it was 7. You then asked me to put up a picture which I did and it was so clear but when we started tapping it didn’t match the age and this baffled me. I think I told you and we went back further to a strange place when I was 7 and taking care of my sister who was 2. In all the time I have been working on issues especially relationship ones, I never ever thought about this time and was amazed when I realised how young I was to develop the belief that it was my responsibility to make everyone happy. I can’t remember in detail what was said but the effect of the therapy was profound. When I rang you later tonight and we talked about the effect it had on me again you said it had reached a subconscious level but I have to say that it had reach a level deeper than that. I know the subconscious level at which I work with Reiki and Meditation and this was way beyond that. What is next, the superconscious level? I think so as I do not understand how I had access to this information that I could not access before when I did inner child work. Today after our work together, I experienced such an incredible sense of inner peace that is still with me now. Also I have the belief that I am not responsible for everyone else’s journey or their happiness and I have an enormous sense of freedom and a sense of self which I don’t believe I have ever felt. I am so grateful to you and this amazing therapy you are developing and am truly looking forward to coming on the workshop so that I can continue to take steps (giant ones) on my journey to inner peace.